They did not just pass, but they also obtained bursaries. 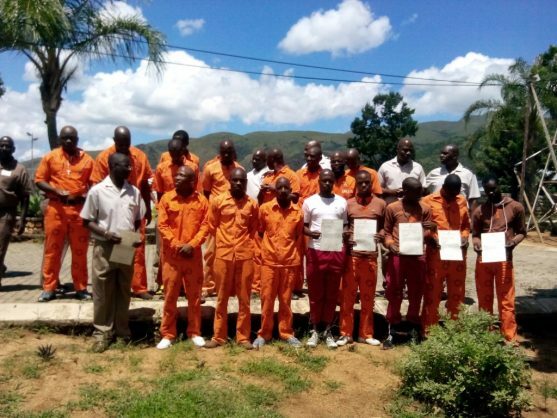 The class of 2016 at the local correctional centres, Prison Farm and Juvenile Centre in Berberton, Mpumalanga set a good example to their peers that education is the key to success. Speaking during the announcement of the 2016 Grade 12 results, the area commissioner at the centre, Marubini Netshivhazwaulu, said he was over the moon that some of the offenders had made the institution proud as top learners after they obtained a number of distinctions, Mpumalanga News reported. “The class of 2016 put a smile on my face with their wonderful performance, as we have managed to obtain a 82.1% pass rate. “They did not just pass, but they also obtained bursaries and I am confident to say the future is looking bright for them as a majority of them will further their studies through Unisa,” said Netshivhazwaulu.